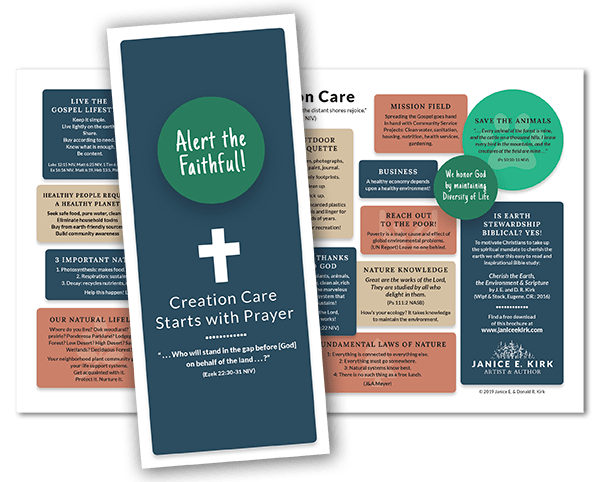 The best compilation of CREATION CARE SCRIPTURE you will find anywhere! 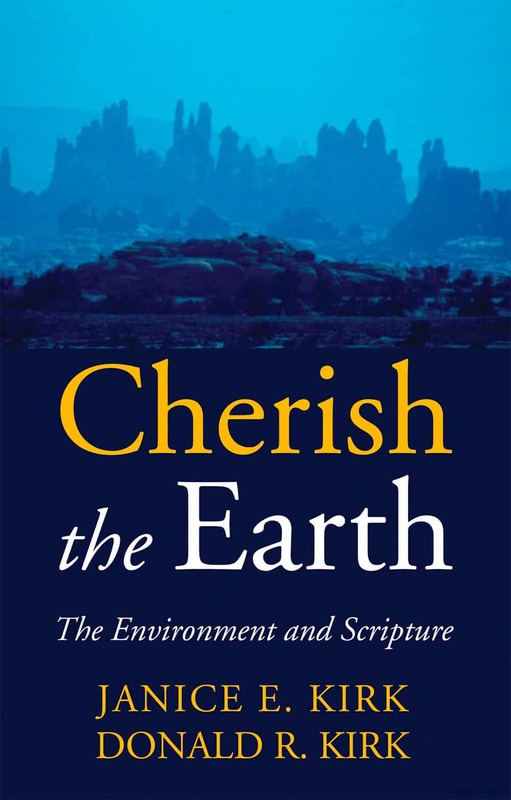 CHERISH THE EARTH is for all Christians who want support for earth ministry; who want to identify the unique perspective they bring to earth stewardship; who want to know where and how to begin taking care of the earth. The book is also for pastors and teachers who need ready references of creation theme Scripture passages that relate to Christian teaching; for camp and retreat leaders who need creation theme Scriptures for Bible study and campfire programs. Welcome as well are non-Christian readers who want to understand the basic precepts of the Christian faith. The Bible contains much Scripture that mentions the natural world. In the beginning God introduces the natural world, and at the same time the Creation of that world introduces the Creator God. In Part 1 of this book we describe the dynamic earth system, which is marvelous in function and awesome in scope. The research and study that unfolds daily has given us a broad view of the world as a whole and an appreciation of its magnificent design. Through this design, we can sense the hand of the Creator. This revelation gives us a common bond with the early Hebrews who, without benefit of modern scientific analysis, sensed and named the Being behind nature. Is earth stewardship biblical? Yes. With the Creation story as a foundation, the natural world provides meaning and vocabulary for the biblical writers. God’s creation is the home of the people, the inspiration of the psalmist, the language of love in the Song of Songs, and the imagery of the prophets. The natural world is included in the blessings of the Promised Land. The environment shapes the parables of Jesus. And in Revelation all creatures participate in the joyful praise at the throne of the Lamb. In Part 2, Scripture passages are gathered to show the importance of the natural world to God and to God’s people. The knowledge of the natural world, woven into the Bible in descriptive phrases, metaphors, and a myriad of spiritual truths, shows how our understanding of Christianity is inseparably linked to the environment. Through this imagery the natural world is confirmed as a means whereby humans can discover the Creator, as God works out divine purpose in the history of humankind. Because references to the natural world are found throughout the Bible, it is evident that God’s creation permeated the culture and thinking of the biblical peoples. They lived closer to the land than we do. But for modern urban societies, the natural world still provides a dwelling place, life- support, and vocation. The natural world also serves as teacher, model, and inspiration. Yet we are neglecting the environment that is so important to humans, and fouling life-support systems. Few Scriptures deal directly with the environmental issues we presently face. There is no passage that says: “Go forth and save the earth.” It is not that simple. The earth, to the writers of the Bible, was not lost. The people were lost, not the earth. People needed to be saved, and God made provision for this with the coming of Christ. In the meantime, what has happened to our home, the earth? Where are we going with our planet? The urgent question of earth stewardship cannot be ignored as we face the daily destruction of habitat, clean water, clean air, and usable land. The natural beauty of the earth is spoiled by the assault of too many people, wasteful lifestyles, human games of greed and power, the devastation of war, and the ignorance of well-meaning persons about the ways of the natural world. The warning signals of environmental distress have triggered action on the part of caring individuals. The environmental movement has brought together people of varied philosophies to recycle, save animals, and clean beaches. Where does the Christian fit in? What does Christianity offer that is different? What role should Christians take in earth stewardship? The answers lie in the foundations of the Christian faith. God was first revealed to humans through the natural world. This primary understanding gives Christians a particular stake in the continuing existence of the earth and its creatures. In addition, the first thing God said to Adam and Eve was essentially, “Here is the earth. Take care of it.” This is a serious charge that has not been withdrawn. Part 3 addresses the present concerns for the natural environment and the role Christians play in earth stewardship. Because of the nature of Christianity, a way of life based on love, Christians have something unique to offer the environment. The outreach of faith unquestionably includes a ministry to a suffering earth, a ministry of caring, joy, and praise. A good resource for pastors, teachers, and retreat centers, this book is geared to the average Christian sitting in the pew. The theology is not difficult and the language not lofty. It is full of thankfulness, praise, and hope. …Positive and inspirational, this book is a needed resource for Christian leaders and study groups. It will be a welcome companion to every Christian nature love, camp leader, and earth steward across our threatened yet priceless globe. …a refreshingly balanced and Scriptural primer on the Christian’s attitude toward God’s Creation. [The authors] avoid pantheistic naturalism by reminding us that it is the Creator, not his creation, that is to be worshiped. The citations from Scripture and discussion questions concluding each chapter are excellent. …A wonderful book for private or group study with questions for discussion at the end of the 15 chapters. …Of great value are the numerous scripture references and admonitions throughout the book giving the unmistakable call to obedience for Christians to continue to take care of the land as God commanded Adam and Eve so long ago.